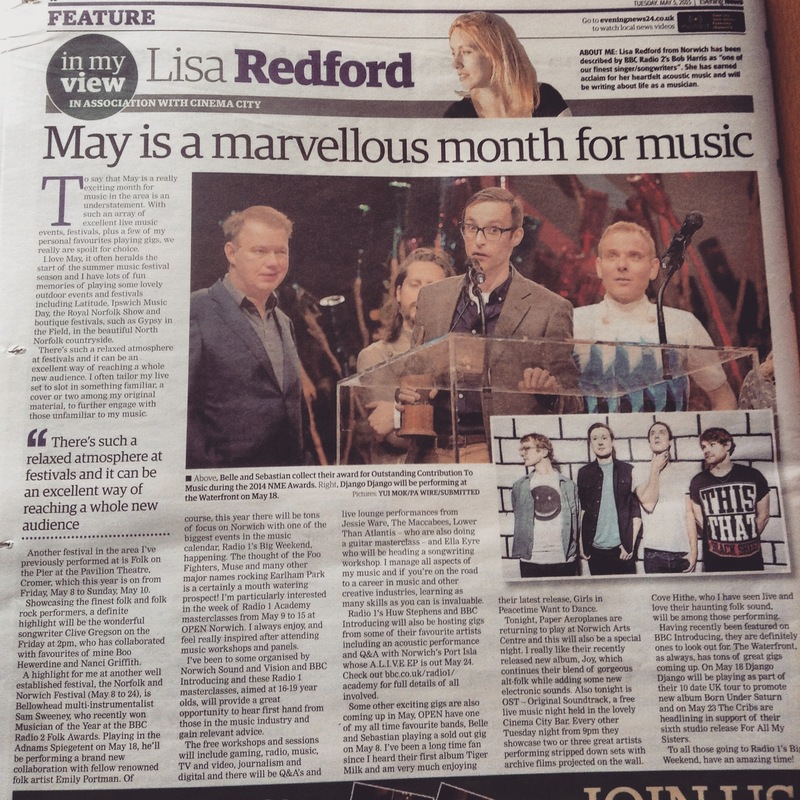 My latest music column has been printed in the Evening News. In it I’m previewing some great gigs and festivals in the Norfolk area including Folk on the Pier and Norfolk and Norwich Festival. 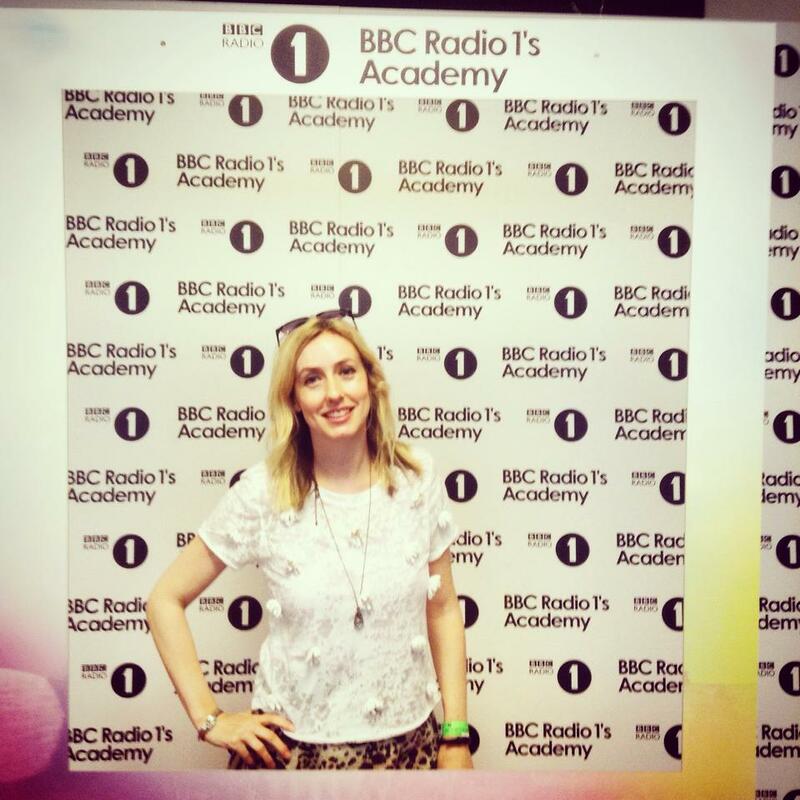 I’m also looking ahead to Radio 1′s Big Weekend as well as the music industry masterclasses for R1 Academy which include some great gigs for BBC Introducing by bands such as Port Isla. 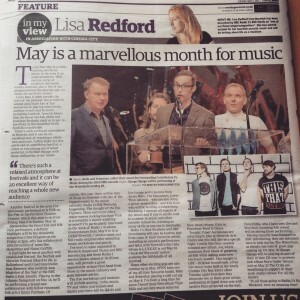 There are also lots of other excellent gigs coming up in Norwich which I previewed; Belle and Sebastian at OPEN Norwich, Paper Aeroplanes at Norwich Arts Centre, Cove Hithe at OST, Django Django at The Waterfront & more. 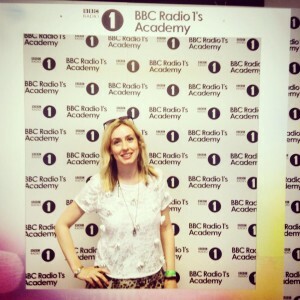 Today I had a fun time going along to the R1 Academy at OPEN Norwich. There was a great atmosphere and lots of invaluable advice for those wanting to get into the creative industries. I especially found the Q&A on digital journalism really informative. It featured Anna Doble, Online Editor at BBC Newsbeat, Martin Bryant, Editor in chief of The Next Web and Greg Cochrane, Editor of NME.com. Martin talked about how he started out by blogging with no expectations of it becoming his career, Anna began with local radio while Greg did 5 stints at NME doing work experience, all illustrating the importance of gaining experience and working hard. As well as a broad skill set, a specialist knowledge can also really help in getting you further in your chosen area of journalism. With regards to the fast ever changing world of digital journalism, Anna felt that being open to new ways of executing things is crucial while also reflecting your audience. Ultimately, they felt it’s all about having that great idea, building a community, asking people what they think and getting them to share, and providing varied content while constantly experimenting. All excellent advice! Also excited that Kathryn Tickell will be playing me on her lovely show on Amazing Radio tonight. Tune in from 9pm this evening. This entry was posted in Country Music, Female Artist, Interviews, Lisa Redford, Music, Music Advice, Music Blog, Music Festival, Singer/Songwriter and tagged Amazing Radio, BBC, BBC Introducing, BBC Newsbeat, Belle and Sebastian, Cove Hithe, Django Django, Evening News, Folk on the Pier, Kathryn Tickell, NME, Norfolk, Norfolk and Norwich Festival, Norwich, Norwich Arts Centre, OPEN Norwich, Paper Aeroplanes, R1Academy, Radio 1 Big Weekend, The Next Web by lisa. Bookmark the permalink.